Get the most original event with your business! Are you looking for a company event full of excitement and adventure? Then come to Indoor Skydive Roosendaal and experience the most unique activity in the Netherlands. The ultimate sense of freedom! 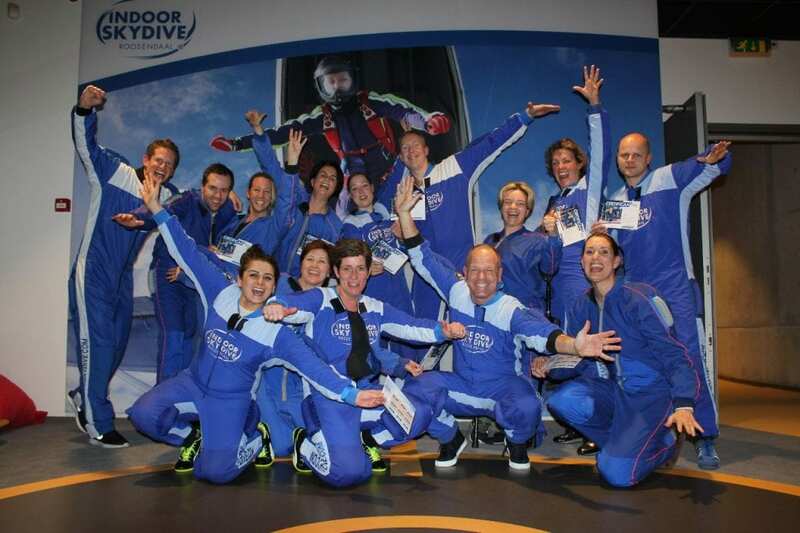 On this page you will find information on how to organize an original business event in Brabant with Indoor Skydive Roosendaal! What’s more fun than spending time with your colleagues or staff during a unique activity? Nothing right? Experience the unique feeling of an indoor skydive with the whole team. That’s how you learn during the getaway, know your colleagues in a different way! Check out our arrangements and join us with the entire team!